Everyone is talking about American Girls! Anna is a fifteen-year-old girl slouching toward adulthood, and she's had it with her life at home. So Anna "borrows" her stepmom's credit card and runs away to Los Angeles, where her half-sister takes her in. But LA isn't quite the glamorous escape Anna had imagined. As Anna spends her days on TV and movie sets, she engrosses herself in a project researching the murderous Manson girls―and although the violence in her own life isn't the kind that leaves physical scars, she begins to notice the parallels between herself and the lost girls of LA, and of America, past and present. In Anna's singular voice, we glimpse not only a picture of life on the B-list in LA, but also a clear-eyed reflection on being young, vulnerable, lost, and female in America―in short, on the B-list of life. 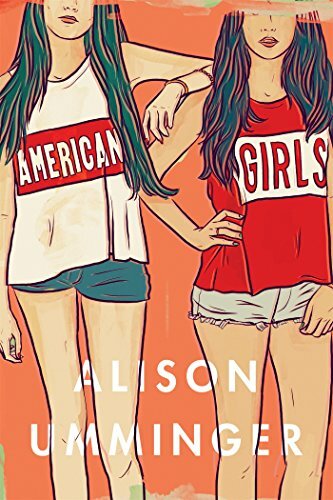 Alison Umminger writes about girls, violence, and which people society deems worthy of caring about, which ones it doesn't, in a way not often seen in YA fiction.